Home > Uncategorized > 9/11 eleven years later: The truth is out there…but where’s the justice? 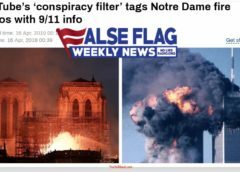 Today, on the 11th anniversary of the 9/11 false-flag events, more people know the truth – or at least suspect it – than ever before. Polls suggest that the majority of the world’s population doubts the official myth scripted by Philip Zelikow and his criminal associates; and the tacit acceptance of the official version, which superficially appears to dominate public discourse, is a mile wide and an inch deep. 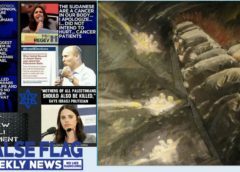 Several current and former heads of state, including Egypt’s Mohamed Morsi, Malaysia’s Mahathir Mohamed, Cuba’s Fidel Castro, Italy’s Francisco Cossiga, Libya’s Muammar Qaddafi, Iran’s Mahmoud Ahmadinejad, and Venezuela’s Hugo Chavez, have publicly doubted the official story. Scientific polls show that more than three-quarters of the world’s Muslims and 2/3rds of American Muslims, 89% of the German people, and somewhere between 36% and 84% of the American people know or suspect that 9/11 was an inside job. Despite the steady progress of 9/11 truth, there has been no corresponding progress toward 9/11 justice. Every major lawsuit against actual perpetrators of 9/11, notably those of Ellen Mariani, Stanley Hilton, and April Gallop, has been derailed through legal chicanery, “national security” pleas, or out-and-out judicial fraud. Attempts to establish an international venue to prosecute the 9/11 perpetrators for war crimes have made some progress, notably in Kuala Lumpur and Vancouver, but Interpol arrest warrants remain a long way off. And still the truth continues to progress. 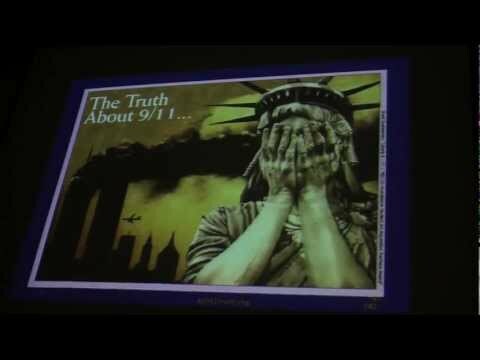 A significant breakthrough at this year’s 9/11 truth events in New York may have been the meeting-of-minds between Richard Gage AIA (founder of Architects and Engineers for 9/11 Truth) and Barbara Honegger (recently-retired Senior Military Affairs Journalist at the Naval Postgraduate School in Monterrey, California). 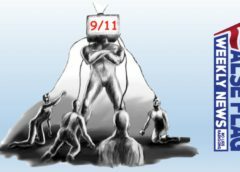 Until now, Richard Gage and the Architects and Engineers for 9/11 Truth have been reluctant to subject the 9/11 Pentagon attack to the kind of scrutiny they’ve applied to the controlled demolitions of the three skyscrapers in New York. Yet Honegger and other Pentagon researchers have conclusively disproven the claim that the Pentagon was hit by a hijacked 757. Instead, she shows, it was bombed. Explosives planted and timed with surgical precision took out the Army Financial Audit area and killed the accountants attempting to track the 2.3 trillion dollars that Rumsfeld had, on 9/10/2001, announced was mysteriously missing from the Pentagon budget. The Naval Operations Command Center and its super-secret Chief of Naval Operations-Intelligence Plot (CNO-IP) – long-time thorns in the side of the CIA-based, drug-dealing Bush crime family – were also targeted. The obvious fact that the Pentagon was bombed with explosives, not a big passenger airliner, is evident to anyone who looks at the Pentagon Building Performance Report, the photos of the damage, and eyewitness statements. For a 757 to have done the damage, the roughly 155 foot long, 125 foot wide, 30 foot high plane would have had to enter a tiny ten-foot-diameter hole in the first floor without breaking the glass in surrounding windows, and without leaving a scratch on the lawn or any evidence of impact on the walls by the huge titanium jet engines. It would have then had to wreak havoc in a broad swathe of the two outer rings, the E and D rings, while somehow pulling itself together to punch a perfectly circular ten-foot-diameter hole in the C ring. Then it would have had to cross the empty courtyard between the C and B rings, magically beam itself through the B ring wall without damaging the wall in any way, and blow up a large area of the B and A rings. It would have also had to blow up another large portion of the E and D rings more than 100 feet away from, and completely separated from, the alleged path of impact and plane damage. Compared to this magic plane of 9/11, the magic bullet of the JFK assassination is relatively plausible. So why won’t Architects and Engineers for 9/11 Truth demolish the government’s version of the Pentagon attack, in the same way they’ve demolished the official story of what happened to the World Trade Center? When I asked Richard Gage that question back in June, he said that he didn’t know enough to be sure, but his impression was that there is too much confusion and controversy about what did and didn’t happen at the Pentagon for the Architects and Engineers to take a stand. I responded that whatever confusion and controversy exists has been spread by people who are either disinformation-purveyors or fools, and that he needed to study Honegger’s research alongside the work of Enver Masud and CIT, and then help AE911Truth demolish the government’s version of what happened at the Pentagon. Another breakthrough at this year’s New York events was the introduction of Homeland Security whistleblower Julia Davis, her famous-Hollywood-stunt-man husband BJ Davis, and filmmaker Asif Akbar to the 9/11 truth community. Together, these three made Top Priority: The Terror Within, a terrific documentary about Julia’s mind-boggling experiences as a Homeland Security whistleblower. (I love the irony of seeing Muslim director Asif Akbar stepping forward to help protect the Constitutional rights of white non-Muslim Americans from an out-of-control Homeland Security gestapo!) Asif Akbar is also directing a forthcoming 9/11 truth Hollywood feature film. More breakthroughs: A young, orthodox Jewish 9/11 truth activist from New York has come forward and expressed interest in helping take the Muslim-Jewish-Christian Alliance to the next level. Yehudi Littman, one of the most eloquent and well-informed young activists I’ve ever encountered, should be a great asset to MUJCA – and a terrific new guest on my radio show – in the not so distant future. Speaking of wonderful New Yorker radio guests, NY 9/11 activist Les Jameson and INN World Report‘s Lenny Charles did a terrific job organizing the 9/11 symposium and film festival; We Are Change is continuing to distinguish itself as the greatest info-activist group of our time; and Tom Breidenbach generously offered housing and first-rate conversation. And finally, a shout-out to intrepid activist Michael Figa, who led the fund-raising drive that brought me to New York to cover these events. Who really killed Ambassador Stevens? 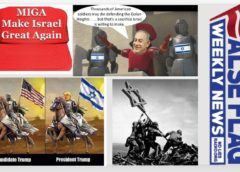 It’s the Zionists, stupid! Kudos on attracting Mr. Littman to MUJCA. It's about time you had a Jewish member! MUJCA has had several Jewish board members, endorsers, etc. The current coordinator of MUJCA, Peymon Mottahedeh, is Jewish. 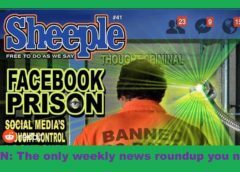 communication is good, but how can we arrest Bush, et al, jail him without bail? Also, if you look at photos of the Colorado shooter after a few days detainment, you will see that it is a different person, so my supposition is that this is a government setup too. would be good to catch this while the trial is still presently going on.